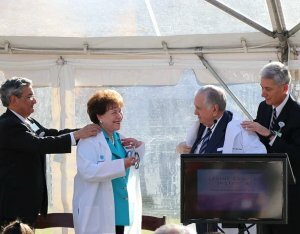 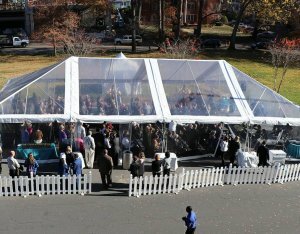 World-class cancer treatment programs grow with expansion of Levine Cancer Institute - Rodgers Builders, Inc.
Four years after completing the Levine Cancer Institute (LCI) at Carolinas Medical Center in Charlotte, Rodgers joined officials with Carolinas HealthCare System, the Leon Levine Foundation, and the Levine family to break ground on a second building expanding the innovative cancer center program. 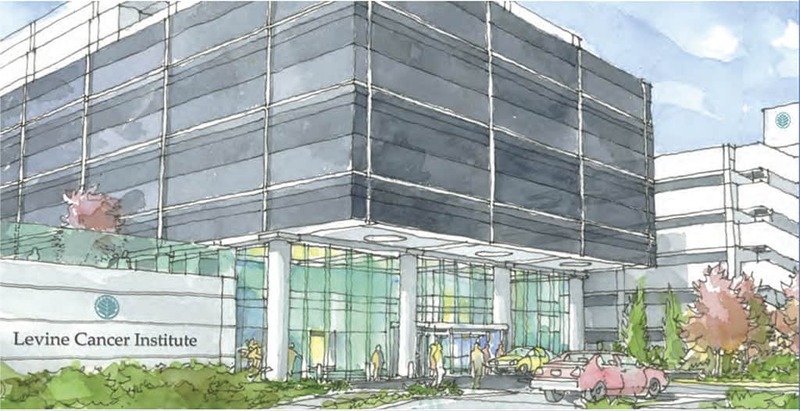 The new seven-story, 260,000-square-foot building will be adjacent to the existing building and will connect via an above-ground walkway. 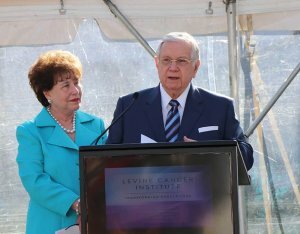 The building is funded in part by a generous gift of $25 million from the Leon Levine Foundation. 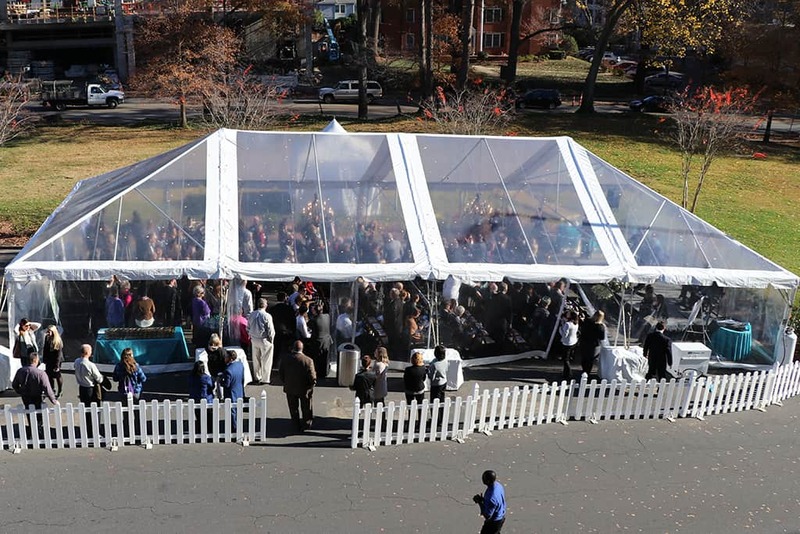 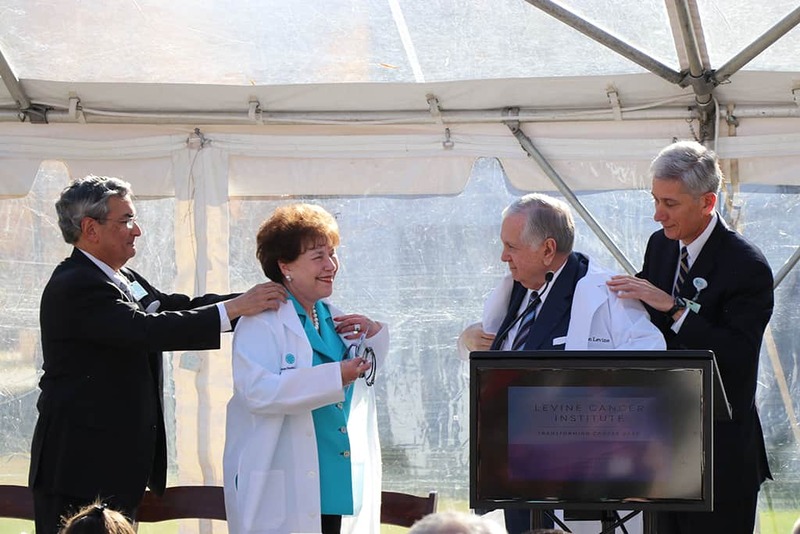 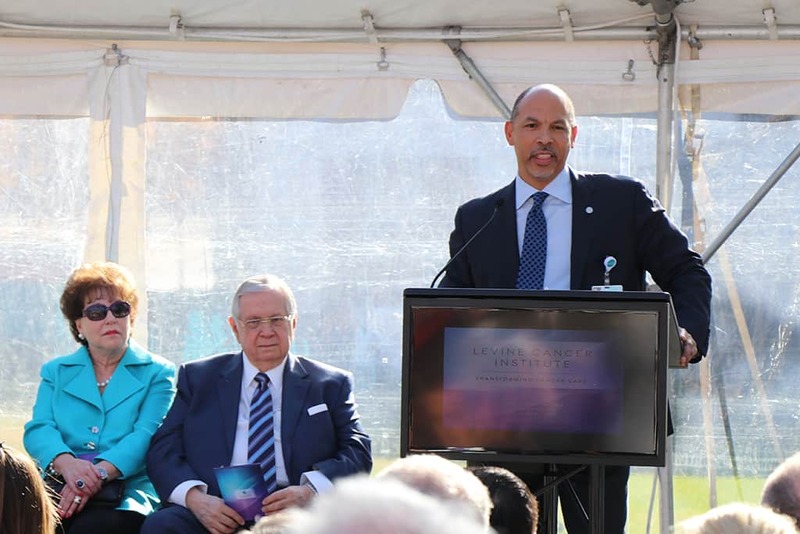 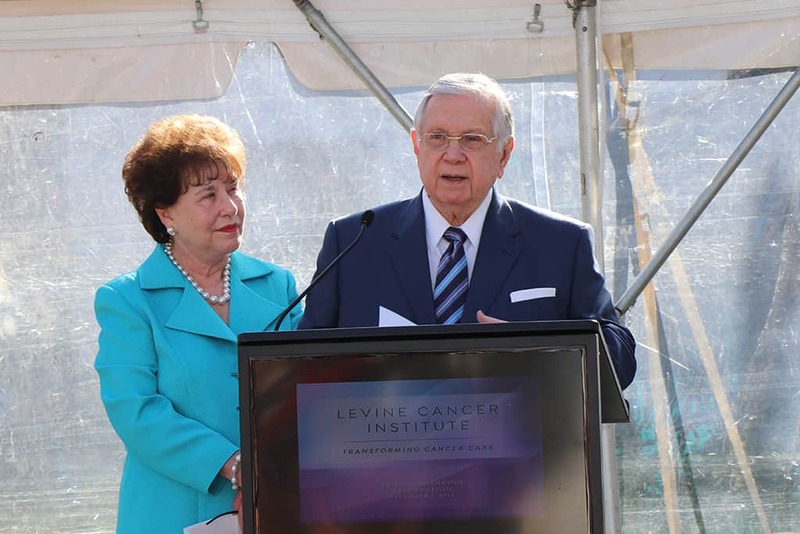 The ceremony was punctuated by stories told by cancer survivors, sharing the personal impact of the local and world-class cancer care provided by LCI. 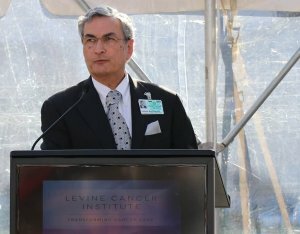 “Hardly a day goes by that I don’t hear from a grateful survivor how LCI has changed their life for the better,” said Leon Levine. 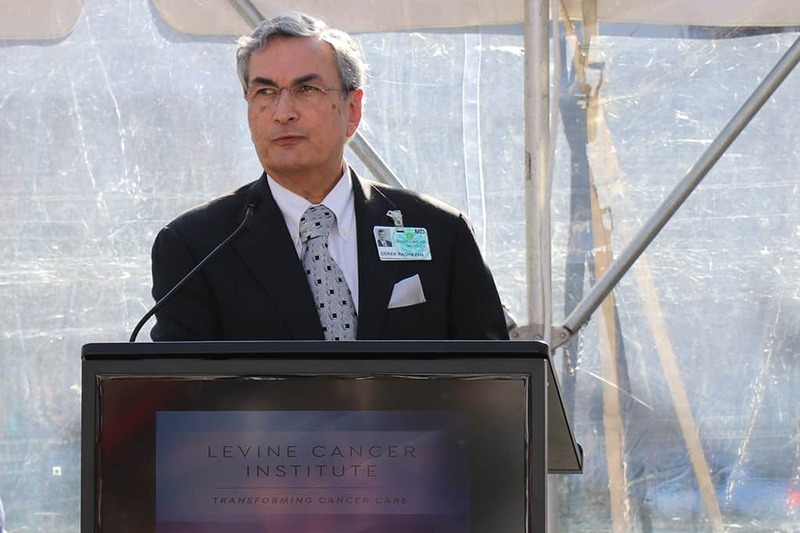 “Our focus is on patients, families and caregivers,” said Dr. Derek Raghavan, president of the Levine Cancer Institute. 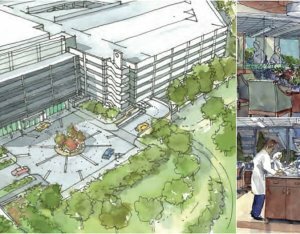 The new facility will more than double the size of the current cancer center and will enhance research and innovative treatment programs, palliative care, rehabilitation, and survivorship support. 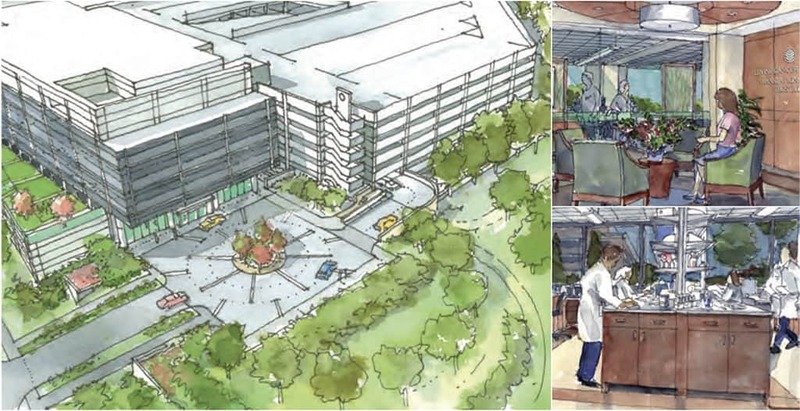 The project also includes renovations to 21,000 square feet within the existing facility. 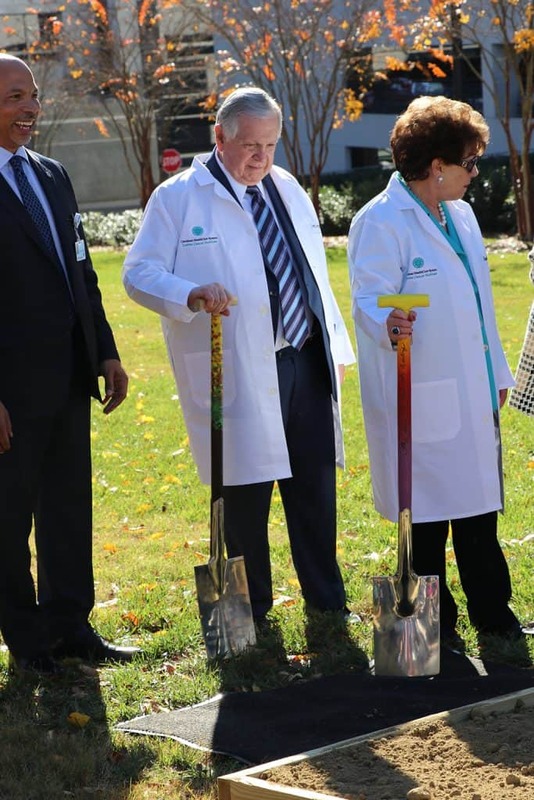 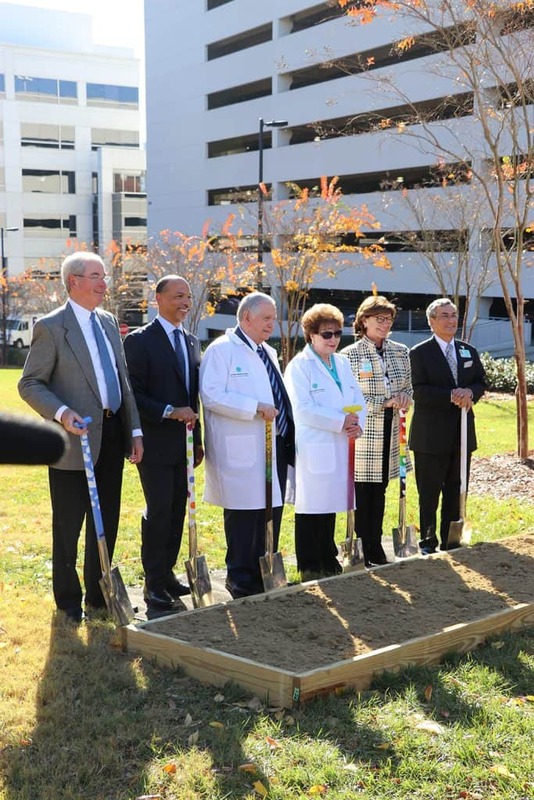 Carolinas HealthCare Foundation President Scott Kerr thanked Pat Rodgers and the Rodgers team for the important work that will occur throughout the duration of the project. 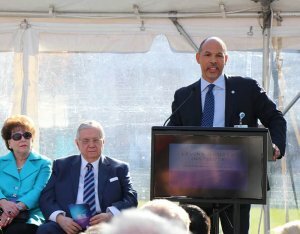 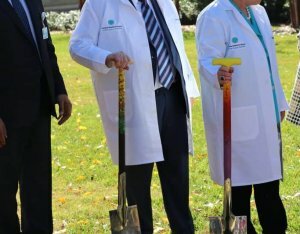 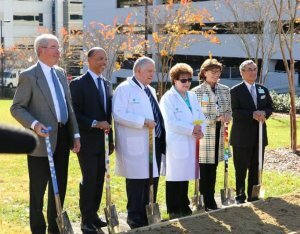 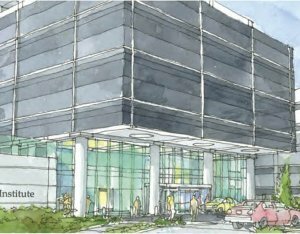 The new state-of-the-art cancer treatment and research facility will be completed in 2018.